Everyone loves a brand new book! 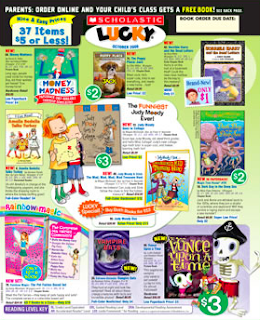 You can get some great deals by ordering from our Scholastic Book order catalog. In addition, our classroom will receive free books with each order! Only online order will be taken this year. The books will be conveniently delivered to our classroom. You can order online at http://www.scholastic.com/readingclub. Use the following teacher code when signing up: HBZB3.